We love Pop Corn in our house and JOLLY TIME is a family favorite. Every year, we try to do something together for our Christmas tree and this year, thanks to JOLLY TIME, we decided to make an old fashioned holiday garland. 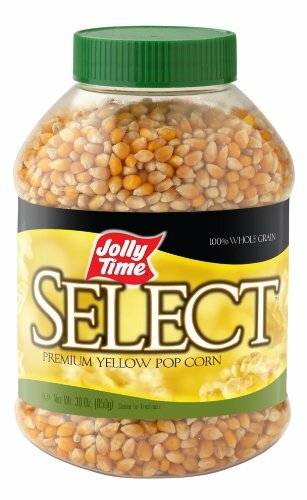 We used JOLLY TIME Select Premium Yellow Pop Corn and Habelman Cranberries. I popped a full pan of Pop Corn and then let it sit and cool for about a day. You can use it right away but it will break easily. Best let it set first. Then, I cut white thread into lengths. I doubled it up for durability and tied a knot in the bottom of each one. Then with a needle to each person, we got busy. We put a cranberry, then three Pop Corn, then repeat. It turned out beautifully. If you don't have time for a family craft like the holiday garland, JOLLY TIME Pop Corn also makes fantastic Pop Corn balls for gift giving. Or you can just enjoy the Pop Corn on a fun movie night! We love the holiday garland though and plan to do it again next year!